With power born of dark and careful pacts with shadowy powers, witches learn the craft of their magic to achieve their goals, aligning it with the unlimited expression of the supernatural hex, their signature ability. 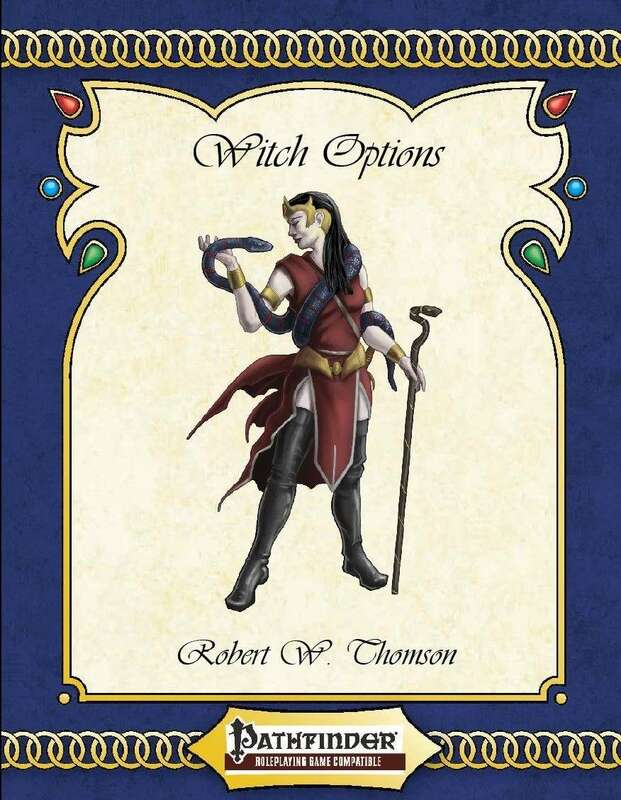 Witch Options brings to light several magical methods and powers such as the cast circle (a fascinating focus for magical powers), and the broom and grimoire, to add to a witch’s versatility. Powerful feats, interesting items, and the template for the witch-themed hagborn add to a supplement packed with exciting options for your Pathfinder witch. Wind up your charms; gather bell, book and candle; call your familiar and get Witch Options from 4 Winds Fantasy Gaming.